A circle of continuous engagement is born. 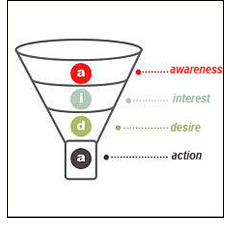 We all grew up with the sales funnel. You know, the one where the company was in control and pushed the prospect through the sales grinder. Well, it's dead. The good news is that it's been buried by empowered customers who don't see the sale as a “close”, but as the beginning of deeper value and engagement. According to voice of the customer research we conducted, ongoing value and engagement post-sale are critical for retaining today's empowered consumers. During the past 12 months we included the following question in many of our research efforts: Which has more impact on retention and repeat purchases: customer satisfaction or customer engagement/relationship? The answer was consistent across our B2B and B2C research: Engagement/relationship strength has 12 times more influence on retention and repeat purchases than satisfaction. Basic satisfaction is now table stakes. Today's consumers expect that the sale is just the beginning of a journey of increasingly personalized and sustained engagement. The traditional sales funnel was created to “drive a sale” to closure. It worked—until customers decided that they were empowered to exert their preferences regarding how, when, and where they wanted to engage pre and post-sale. Focus on providing easy, hassle-free, personalized solutions. Learn customers' opt-in messaging and communication preferences. Engage customers across the multichannel mix. Don't “close.” Instead, think of the sale as the beginning of proactive, value-based relationship development. Provide an ongoing value –add, which justifies a price premium. Be relevant. Communications must be highly personalized, targeted, and delivered or accessed across the multichannel mix. However, a note of caution: many companies are still not equipped to deliver this level of ongoing and multichannel engagement. In the 2013 benchmarking study by the Retail Systems Research (RSR) Institute, Retailing: Omni-Channel Approach Central to Strategies in 2013, 54% of respondents indicate that they do not have a view of customers across channels. DHL is one company that has cultivated a commitment to being customer focused. It has developed processes that solve problems and create goodwill at every touchpoint—and and at every part of the shipping continuum. For example, it integrated formerly stand-alone business units to provide solutions and to support customers more effectively, and developed specific industry know-how and solution segments that specialize in providing niche service by industry to address specific customer concerns. By adopting this customer-centric approach, the company increased profit from operating activities in the first half of 2013 by 7.8%. 1. 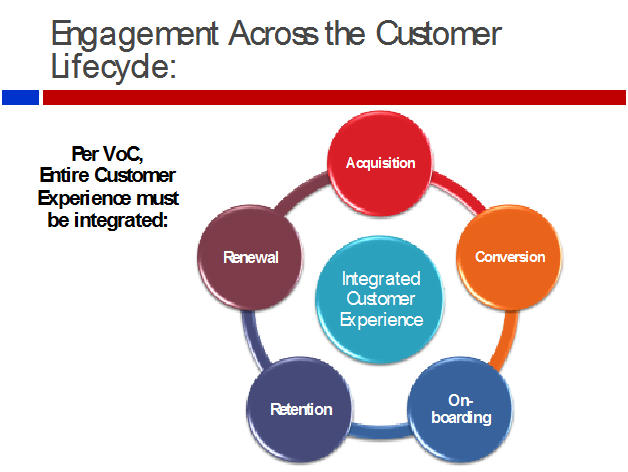 Shift from the obsolete sales funnel to a customer lifecycle view. Focus on developing ever-deeper relationships with your customers across their ongoing customer experience with your company. 2. Be actively engaged with prospects during their decision journey. Provide easy-to-find information, access to reviews, etc., to enable prospects to evaluate your company, product, and services against others they're considering. Opinion influencers—such as product reviews, ratings, and testimonials—are critical. In addition, provide convenient contact resources, such as online chat that answers questions, while prospects are still on your website. This high-level of value and service sets an important tone at the beginning of the customer life cycle. 3. Understand your customer's journey from pre-sale to post-sale. Understanding the factors that make customers want to purchase from you--and then stay with you after the sale—lets you highlight your company benefits and use these key selling points in your marketing. Put in place the means by which customers can easily access information and help along the way from pre- through post-sale phases. 4. Be easily accessible across channels. Consumers are shopping via multiple channels and devices often at the same time. Don't create barriers by being unavailable or making it difficult to engage across the channels your customers prefer. 5. Don't forget about customers after you ring the register. Keep customers actively engaged via preference-driven, personalized communications and experiences. Provide ongoing information to improve their lives, solicit feedback, and stimulate purchases of relevant new and add-on products. Make your customers feel as though they are a part of your company's community through a multichannel relationship-focused continuous cycle of engagement.